Play table tennis anywhere! 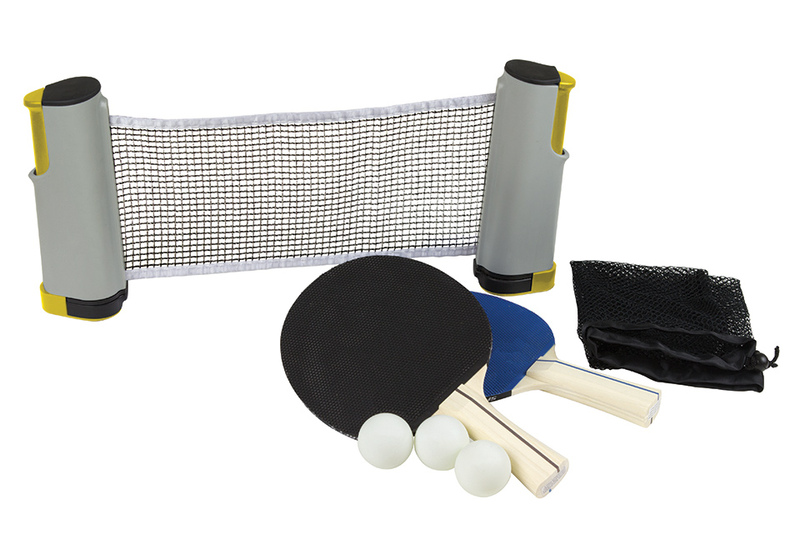 The Retractable Table Tennis Set lets you play table tennis on virtually any table or surface. Simply clamp down the post on one end, pull the regulation height net across the playing surface, and clamp down the other end. Now you’re ready to play! Net expands to six feet. Includes two rackets, three balls and a carrying case. When you’re hankering for a game, but don’t have a table, set up the Retractable Table Tennis Set. It transforms any tabletop into a table tennis venue.